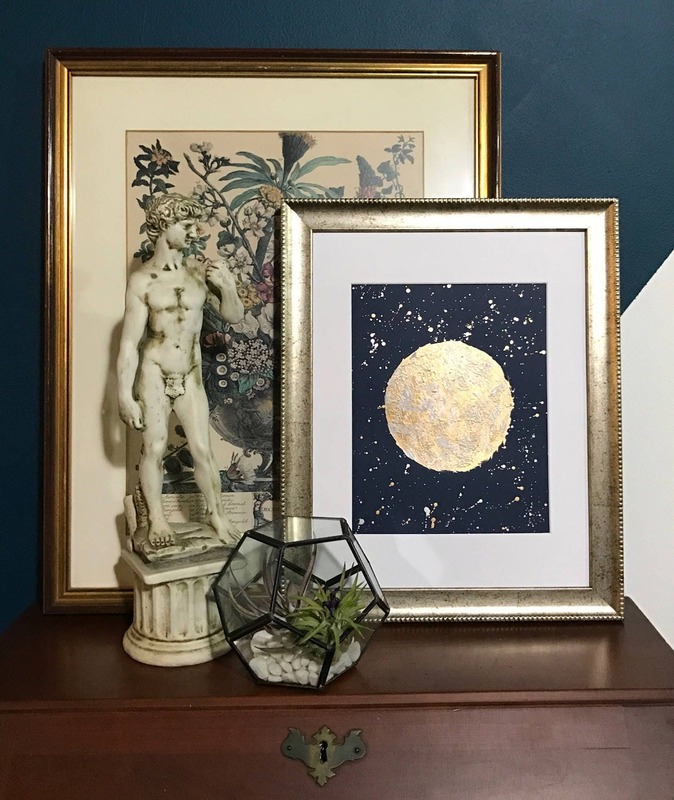 Shiny silver and gold painting in ode to the moon in the night sky. 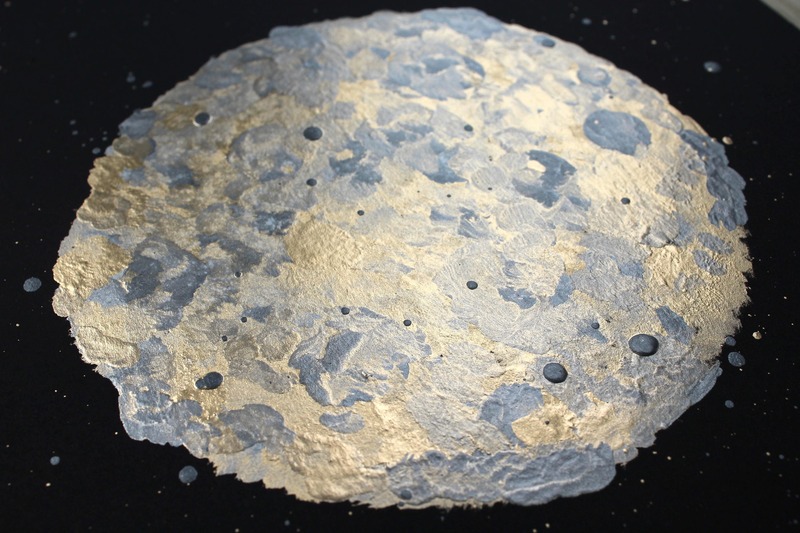 This metallic abstract uses our original technique to create this reflective abstract. 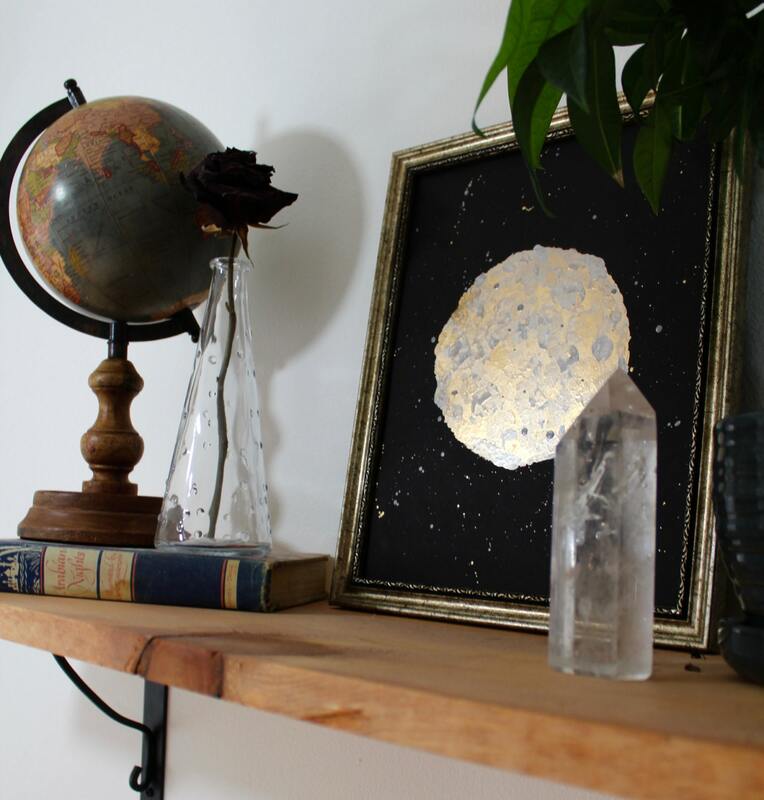 Silvery golden and perfectly celestial. Size: 8.5" x 11". Unframed. Ships in a sturdy cardboard envelope. 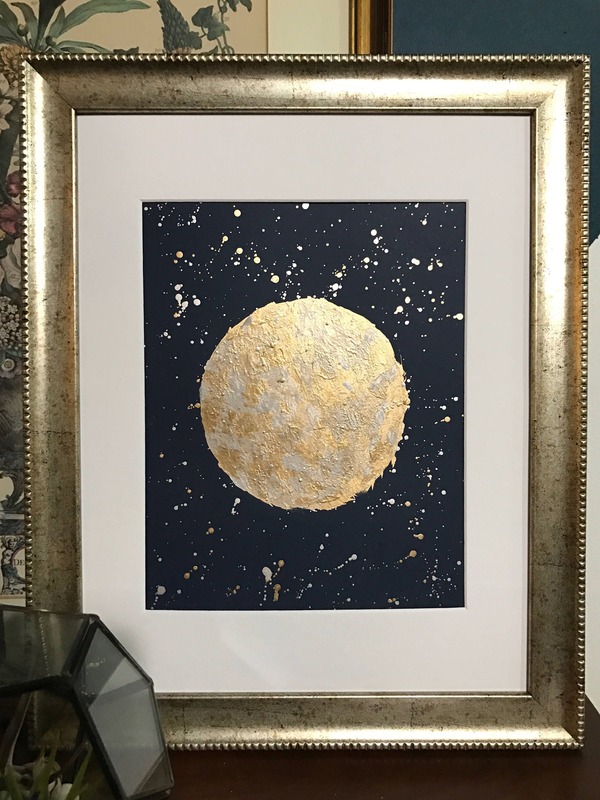 This is painting two in our three part series "Sun Moon and Star". 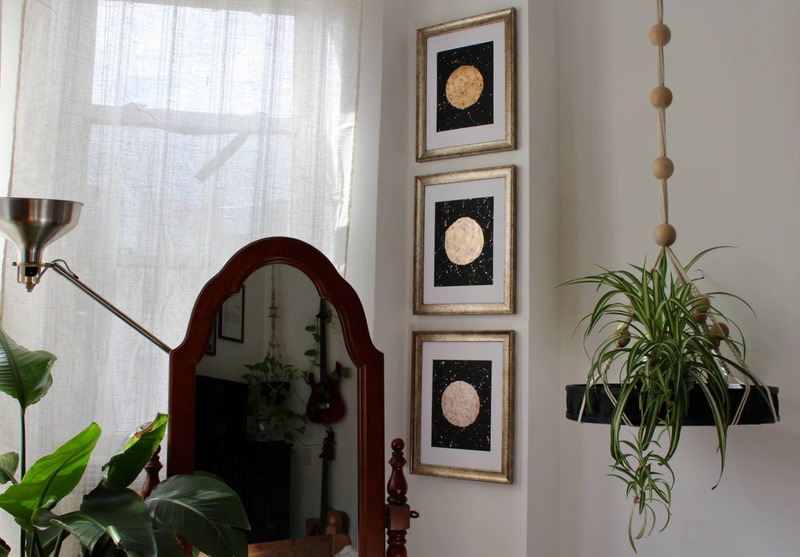 For the moon, star, or set of three paintings, please see the links below.